It may seem a little odd that the BBC is delving into the world of computer hardware, but it's not for the first time: in the 1980s the broadcaster created the BBC Micro. The BBC had planned to give one million micro:bits to 11-year-old school kids last September, ready for the start of term, however they were finally released today. The reason for the delay? Well, we've all heard the phrase too many cooks spoil the broth, and the BBC had too many partners co-creating the hardware. 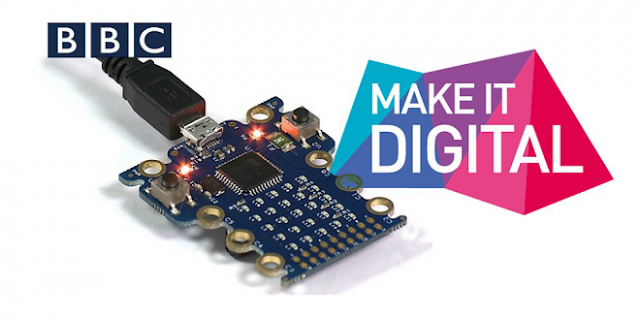 The micro:bit board includes a bank of LEDs, an accelerometer to detect motion, Bluetooth connectivity, a pair of programmable buttons, a compass/magnetometer and a selection of input and output rings to link to other devices and sensors. The board is small enough that it can be incorporated into a wearable design and there will be a companion website where multiple code editors, tutorial and videos guides will be available for the kid. It aims to offer kids an alternative to mundane IT lessons that's enjoyable and will encourage the future generation to dapple in computer programming. The hardware specifications and much of the software for micro:bit will be open-sourced, and the device will be made available to buy. Money generated from any sales will be used to “further encourage as many people as possible to join the coding revolution”, said the BBC. To think the age of tiny computers will finally come in the 21st century. I am very interested to check aussiessayservices.com/essayroo-com-review/ info which will helpful to the all students. The people are getting very smart day by day with the knowledge that our ancestors have been gathering. I cannot wait until I see the world’s smallest computer. Very nice!